Salma Hayek Pinault attends the 90th Annual Academy Awards at Hollywood & Highland Center on March 4, 2018 in Hollywood, California. Salma Hayek accessorized with a pair of Harry Winston diamond chandelier earrings that perfectly complemented the embellishments on her dress. 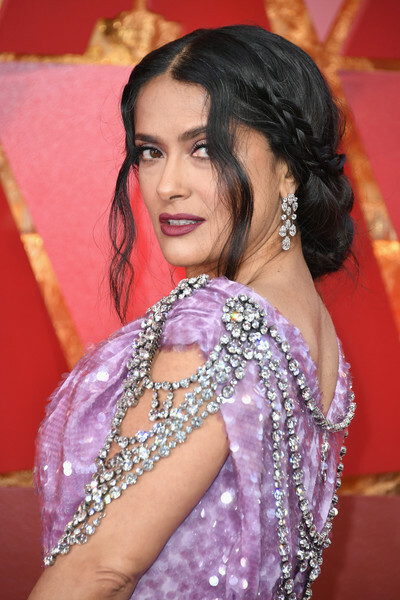 Salma Hayek looked romantic with her loose, partially braided updo at the 2018 Oscars.